Earlier this week AQA scrapped the A-Level in Art History, and today Archeology got the chop too. The luvvies at the BBC decided to get some expert comment about this act of cultural vandalism, and naturally turned to one of their own – Left-wing comedian and actor, (Sir) Tony Robinson. He’s keen on archeology, having made some reality TV show about it. However, he was knighted for his services to politics, having been a member of Labour’s National Executive Committee. So who better to discuss it? Sir Tony was, unsurprisingly, keen to blather on without any balance, roundly condemning AQA for their decision. He knows a lot about education; after pre-school he went to a grammer where it scraped four ‘O’ Levels, and dropped out of ‘A’s. Unfortunately Sir Tony couldn’t directly criticise the government as it was the exam board decided to drop it, but it didn’t stop him trying. And for balance, they dug up a professor of archaeology too – not a luvvie, but definitely an academic. The argument made by this brace of lefties is that scrapping subjects like this means poor people going to state schools won’t have the chance to study these subjects. A view that wasn’t questioned. Well I’ll question it – if AQA has scrapped it, no one can do it. Apparently it was also “limiting choice” to concentrate on core subjects. This stands no scrutiny. Hardly any schools offer A-levels in these subjects anyway, as no one wants to do them and even if they did, there is no one to teach them. If you have a love of a subject, go and study it yourself. Apparently, last year only 400 students took Archeology. No one was keen to make the opposite case; that such A-Levels are a really bad idea. You can go on to study a degree in archeology without having done an A-Level in it; you just need a brain and the ability to think critically. You can get that by studying anything difficult. You don’t need to be spoon-fed a subject to “try it out”, all you need to do is go to the library and read some books. Having A-Levels in weird subjects is actually a bad thing, in my view. People may choose to do them. In itself that’s fine, but human nature leads to many choosing the easy ride. In at least one private school I know of, most of the pupils leave with an A-Level in Scripture (Religious Studies). It’s an easy one to get and boosts the A-level tally. So what happens when you take your A-Level in Media Studies, Archeology and Divinity to university? Do they prepare you for a degree course? Well, it might for a degree Archeology, but so would self-study and a love of the subject combined with an A-Levels in Maths and Physics. THat’s true of practically any subject at degree level. The result of the current ridiculous situation is this: I have people trying to study for a degree in Computer Science who are unable to write a proper sentence in English. Their basic arithmetic skills are almost non-existent; and as for mathematics: forget it! And, surprise, surprise, they got on the course using A-Levels in soft subjects, so they don’t know how to study anything hard. Bring on the A-Level scrappage scheme. Today the BBC hit back after being told to do its job. The white paper on its future told the public service broadcaster that it needed to produce public service output, rather than duplicating material ably produced by the commercial sector. The phrase used was “distinctive output”, and this was repeated ad nausium in its reporting of this morning’s story that it would be dropping its popular web recipe archive. The reason given was that this was not “distinctive output”, and according to Radio 4’s Today programme, it was to save £15M/year from its on-line budget. Really? Anyone who knows anything about web publishing can tell you that publishing recipes is cheap, especially when you already have them. A quick look around the BBC more exotic on-line offerings will soon show where the money really goes. So what are they up to? Politics, of course. The liberal elite running the BBC isn’t happy about being reminded how it is supposed to be spending our money, and is acting up in a disgraceful manner. In its own on-line reporting of the matter, the BBC is linking this to the new requirement to publish details everyone having their celebrity lifestyle funded by more than 450K of our license money. This is going to be be awkward for the luvvies and the star-struck BBC executives fawning over them. It’s about time the BBC started serving the people who pay for it. It’s hardly impartial when it comes to politics; it’s right in there playing politics itself – albeit the playground variety. 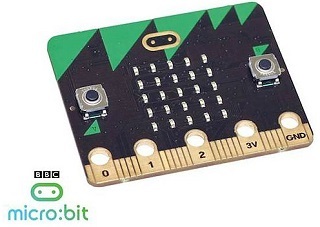 At very long last, the BBC micro:bit has been released. This is the educational embedded computer designed to inspire kids to learn about real programming. A small board with a CPU, Bluetooth, two switches and some LEDs it’s ideal for… Well what? Obvious comparisons will be made with the established but overcomplicated Raspberry Pi. The plan is to send these out to year 7 students over the Easter holiday. I’m involved in computer science education, but I can’t even buy one (although I can use the simulator). Quite how these will be received when they turn up during Summer term remains to be seen, but I suspect eBay will feature in getting them to those who are interested in this kind of thing. Unfortunately, from it’s inception in 2012, those of us who have been watching events unfold have a one-word verdict in common: Fiasco. I’ll let you know more if I actually get to see one. Earlier this month at CES, Netflix’s chief product officer Neil Hunt stated that his company’s policy on subscribers accessing content over a VPN remained unchanged. That’s to say that they ask customers not to do it, as it can bust licensing restrictions on content. Neflix is probably the largest provider of streamed TV programmes around the world, now operating in a claimed 190 countries. I’m not a fan of Netflix – they’re big campaigners for “Net Neutrality”, meaning that all content must be treated the same and ISPs can’t charge more or slow down particular traffic. As their content is not for the public good, and yet accounts for about 40% of the world’s public Internet traffic, they would say that, wouldn’t they? As media organisations such as the BBC (iPlayer) are in the OTT game, the fact that this is a business model where the bulk of the costs are paid for by all Internet users whereas the profits go to the streaming service is not generally mentioned in the popular press. In other words, they profit from the ISP’s investment without contributing anything back. Amazon Prime is another good example. Anyway, the content that Netflix streams is licensed from content producers, who have good reasons for licensing it on a geographic basis. A TV programme broadcast in one country becomes harder to sell to networks abroad if it’s already available via streaming, and upsetting the status quo won’t be good for content producers. This will leading to less investment in good programming. Netflix is “campaigning” to change this, as though the public, including its customers, have some kind of rights that are being denied. It would, of course, help Netflix’s commercial interests if regional licensing didn’t exist – at least short-term. 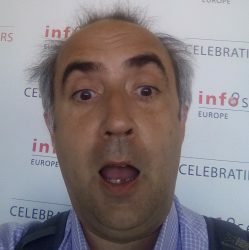 That aside, I was amused to see that Neflix’s latest pronouncement, in a company blog post by David Fullagar (VP of Content Delivery Architecture) a week after the CES announcement, that it would now be clamping down on its customers use of proxies or VPNs to smuggle streamed data across boarders. One might surmise that the content providers, many of whom are also local broadcasters, didn’t appreciate Neil Hunt’s complacent sounding comments. The status quo he was defending was basically an weakly enforced contractual prohibition on its customers streaming through a proxy. A actual enforced ban would result in a loss of revenue to Netflix, or if you’re less cynical, would go against the company’s stated aim of “all content free to all (subscribers)”. But in spite of the soothing words to calm the outrage of its content suppliers, what can Netflix actually do about this? How do you block your customers using a VPN? It seems to me that it’s impossible to tell whether you’re sending UDP packets to an IP address that’s actually a VPN. It can’t be done. There can be any number of endpoints behind one IP address (an asymmetric NAT LAN), and any number of VPN connections to who-knows-where. And they’ll all appear as one IP address, and the traffic will be indistinguishable. So how do streaming companies block VPNs now? By having a list IP addresses used by published ones, and that generally means commercial ones. Okay, that might work for the public/commercial VPNs. I shan’t be shedding too many tears if they’re blocked, because they’re making money out of license-busting, which is wrong. But consider this. Supposing you pay the BBC for a TV license but live abroad for part of the year. You have a moral right to view the content you’ve paid for, and could do so using iPlayer. The only problem is that iPlayer may detect you’re outside the UK by your IP address, and stop you. The solution? Put a proxy server on the network in your house in the UK and connect to it when you’re abroad. I have evidence that this happens a lot. This can also be done immorally. People in one country with relatives living abroad can set up such a proxy for their friends and relatives to use, and Netflix will be none the wiser. Even if Netflix did suspect an IP address of having too much traffic, what could they possibly do about it? Contact the owner and investigate? How would they even find the owner? Many ISPs use dynamic addresses in order to charge more for a static one to business customers, with the effect that you don’t know who’s using what IP address today. If you do find a suspected VPN, tomorrow it’s IP address will have changed to one of millions, all used by normal domestic customers. Finding the many small, private VPNs is going to be impossible. 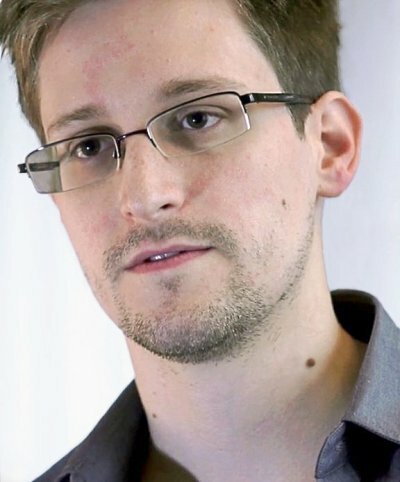 One method might be to probe an IP address to see if a VPN port was open. This is no proof that it’s in use, and no proof that it’s not used for one of the many purposes that a VPN was designed for. And even if they were to try it, it’s simple to restrict access to the VPN ports to your friends abroad. And besides, probing an IP address for an open port without permission is illegal. The only other method I can think of that would work is to examine the traffic to/from an IP address and see if there’s a correlation between outgoing packets and incoming data from one of Netflix’s servers. But Netflix can’t do that; only an ISP has the technical ability to examine traffic on a particular subscriber’s line. And those are the ISPs that Netflix is abusing by loading them with 40% of their traffic without contributing to the cost. Good luck with that. Jeremy Clarkson must feature in the worst nightmares of the trendy liberals that run the BBC. He’s intelligent, articulate and hugely popular, but not politically correct. Whether he’s right or wrong in what he says doesn’t matter. From what I’ve heard of his TV appearances, he comes across shallow and missing the point 75% of the time. He’s written books and a column in the Sun “Newspaper”, which may turn out to pander less to the need to entertain; I don’t know because I can’t be bothered to read them. I hear more about Mr Clarkson from the news media, where there appears to be a vendetta against him based on the notion that he says things which, while part of English society for over a century, are no longer politically correct. They’re lambasting him for treading on cracks in the pavement. The latest row seems to be about him losing his temper after a stressful day’s filming. This isn’t a good thing, but it’s part of life. If he was a celebrity chef, such behaviour would be encouraged. We should really be sharing a thought for the poor producer on the receiving end of the self-important star’s bad mood and abuse: Oisin Tymon. He appears to have taken the matter professionally, in his stride. He’s working in an industry containing celebrities with arge egos placed in stressful situations, and what little information there is in the public domain, it appears he’s taken the incident on the chin (literally, by some accounts) and just got on with it. Unfortunately, it’s given Danny Cohen, the BBC Director of Television, the perfect excuse to over-react. Or so he seems to think. It’s clearly being used as an opportunity to silence a voice that doesn’t fit with their left-wing, liberal agenda. I’ve no problem with a left-wing agenda, as long as it’s balanced. 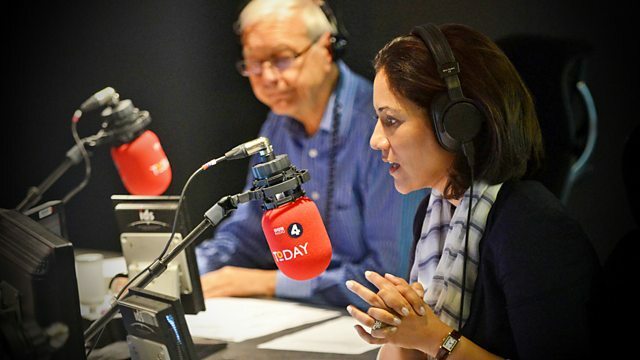 The BBC is paid for by society as a whole, and has no business censoring someone who reflects the views of that society, whether they reflect their views or not. Whether Mr Cohen is pandering to the views of his colleagues is something I can’t tell. There are calls for the wonder-boy of British Television to go instead of Clarkson. One thing’s for sure; there’s always Noreena sitting over the breakfast table to keep him on the one true path. Her published works leave no doubt as to her political and philosophical leanings. As I believe in hearing all views from our “uniquely funded” state broadcaster, I have no choice but to take a stand in defence of the oaf. Guido Fawkes started a petition, and I notice it has almost reached a million supporters. Sign it here. Those of us with suspicions about BBC’s iPlayer project have been proven correct. The corporation has once again shown its properly out of touch with those who are forced to pay for it by first pushing everyone on to using iPlayer, and then discontinuing the support for it on the most widely installed platform in the country. When the BBC obtained the funding for BBC3 and BBC4, part of the justification was to allow re-screening of significant programmes that were difficult to watch live in the multi-channel environment. This worked for a while, and then they stopped doing this and filled the airwaves with complete garbage, citing iPlayer as the way to catch up on everything you couldn’t see at the broadcast time. A lot of us were suspicious that this was more to plug iPlayer than anything else. Fortunately in 2009 the corporation released iPlayer for the most popular games console – the one that more households had installed than anyone else – the Nintendo Wii. Although they had questionable motives, it worked well enough until late last year, then they messed with it. Then it didn’t work. And a few days ago it became apparent that they were dropping the service with the jaw-droppingly arrogant excuse that it was five years old and they wanted to concentrate their efforts on newer platforms. This is complete nonsense, of course. The Wii platform remains the most widely available, by far. The Wii is tried and trusted, appreciated by families if not hard-core games fanatics, and is hardly an obsolete product. It’s still on sale, and at a reasonable price. As a platform for iPlayer it’s an obvious choice. So what’s the BBC thinking? Are they stymied by simple technical incompetence, having no one available to working on the Wii code base following an “upgrade” to a new iPlayer version? Quite possibly, and they’re so out-of-touch that they don’t see a problem with this. A feeble note the BBC web site says they are concentrating efforts on producing a new player for the Wii U – the console no one wants. Hell is going to freeze over before this platform gets anywhere near the installed base of 100,000,000+ of the standard Wii consoles (worldwide, as at late 2014, based on Nintendo’s quarterly consolidated regional sales reports). So what does this tell is about the BBC? If iPlayer is part of an important future broadcasting strategy, they’re not supporting it very well at all. All the house advertising suggests it’s important to the corporation. It’s a strange outfit – some of its R+D has always been groundbreaking whereas recently a lot of it has been laughable, and the management is notoriously well insulated from the real world. Their failure to support common platforms in the arbitrary manner makes the whole concept unstable. In the old days you could invest in a TV set in confidence knowing that your license fee was going to keep it supplied with content for as long as was reasonably possible. The BBC acted very honorably when it came to the switch from VHF to UHF; a bit less so with DVB-T – and they’ve used the extra channels to provide constant re-runs of their lowest quality output. Dropping iPlayer now, just as families were trusting that the could invest in the equipment needed to receive the service is a continuation of a worrying trend. Malaysian flight MH17 “shot down” over Ukraine? Since writing this, I’ve been watching the superior BBC journalism on Newsnight where they had the sense to interview someone from Jane’s. Apparently the separatists do have Buk missile launchers in the area, which is surprising. Did the Russian government really provide such a dangerous weapon? And apparently (I didn’t know this) a single launcher can operate in autonomous mode using on-truck forward-facing radar. Basically a goon with no overall tactical view – watching a blip on the radar can decide to shoot down the blip. There are rumours that the US tracked such a missile. This is scary, and derails the following conjecture. I’ve kept it for historical interest. I’ve just been listening to the BBC reporting that “someone” in the Ukraine has shot down a Malaysian airliner flying overhead at 35,000′. Okay, it’s possible, and the fact it’s crashed is certainly a tragedy, but are any of these hacks aware that this is a long way up? There are basically three kinds of Surface to Air Missiles. Before blaming the separatists, you have to realise that the hand-portable types (MANPADS) you’d associate with rebels aren’t really any good at shooting down much apart from attack helicopters or slow things close to the ground. Basically, don’t bother if it’s more than 10,000′ up. It’s possible that they have Igla Russian systems, but they couldn’t have used them. There are portable systems that can hit targets that high – such as the Russian Buk. These are big beasts, built in to a truck. The separatists may have got tanks from somewhere, possibly with a nod and a wink from the Russian military – but are they going to really going to let a bunch of rebels have a Buk (SA-24)? It’s not something you’re going to miss like an old tank. Could the Ukrainian government have done it? I don’t know whether the Ukrainian military has such a system; it probably does. But again, it’s not the kind of thing you’d fire off by mistake. Shooting at high-altitude jets isn’t going to be an accident, and why would they do it in purpose? Did they think it was a Russian military aircraft? I think not, but if they did, there are some complete idiots with dangerous weapons out there. That leaves the Russian government – did they order it shot down? The same applies – why would they do that deliberately, and if it was an accident, it beggars belief. The BBC is talking about missiles, but it could have been shot down “old school” with a fighter. Are the Ukrainians or Russians really going to shoot down a Malaysian airliner filling the windscreen of their MiG? That’d be crazy. So I’m taking all this “shot down” news with a pinch of salt. Perhaps it suffered a failure and crashed; perhaps it was an on-board terrorist or bomb. I think the BBC thinks the separatists (whom they don’t like) dunnit with a Stinger. The BBC iPlayer is supposed to “make the unmissable, unmissable”, according to the BBC itself. That only applies if the BBC itself wants you (the license payers) to see something. 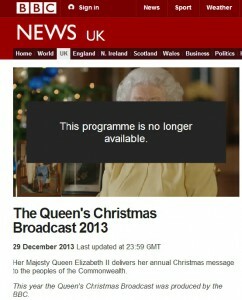 Even before Christmas was over, the Queen’s Christmas Message was removed from the playlist. What’s the excuse? I’m still waiting for a reply to that one (and ITV don’t feature it either). It was produced by the BBC this year, and there doesn’t seem to me to be any technical reason why they can’t keep it there for the duration of Christmas, if not the whole year. it’s not just iPlayer; it’s been dropped from the BBC web site too. The BBC is, of course, embroiled in allegations of left-wing political and social bias, and this seems a likely explanation. At the very least, lefty decision makers will have regarded the Queens Message as unimportant and dropped it quickly. The BBC once had a monopoly on the Royal Christmas Message, but this was ended in 1997 when it was announced that ITN would alternate with it (and Sky joined the rotation in 2011). At the time it was speculated that this decision reflected the Palace’s displeasure with the low-brow coverage of Royal matters within BBC News and Current Affairs. You can’t argue with that, although it was denied by Buckingham Palace. Subsequent revelations tend to back this up, and show it was the right decision. It comes to something when the state broadcaster, funded by the nation, fails in its duty to make the Queen’s message available, forcing everyone on to YouTube to watch it. Perhaps its time to drop the BBC from the production rota and replace them with Google.